Calvary Church is a warm and inviting spiritual community, and our worship services are rich with Scripture, songs, prayer, message, and fellowship. 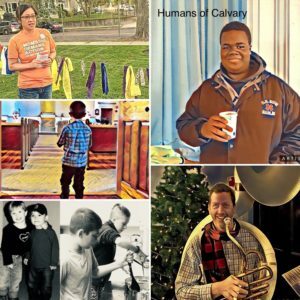 Whether you are a long time member, a visitor to the Arlington area, or are seeking a church community to become involved with, you will find open hearts, open minds, and open doors at Calvary Church, a reconciling church. All are welcome to join in our services, and we look forward to seeing you and worshiping God with you. After the service – Fellowship Time in the Fellowship Hall on the second floor, accessible by elevator. On the second Wednesday of every month from October through June, we offer a Taizé Service at 7 PM in the sanctuary. A wonderful opportunity for meditative worship, Taizé offers silence, prayer, and song. For more information about the Taizé community, visit www.taize.fr/en. Communion Service is the first Sunday of each month. In the Methodist tradition, all are welcome to share in communion. We serve grape juice so that all may partake comfortably, and gluten-free wafers are available for those who indicate that preference to the usher. We offer child care for children ages three and under in the Edith Burke Room (go through the front door of the sanctuary down the hall, turn right, go to the end of the hall to the last room on the right). The service is audible through speakers in this room. Children who need to move around during the service may go with a parent to the Upper Room (above the main entrance to the sanctuary). The service is audible from this space. Christmas Eve – We offer a family-friendly service at 5 PM with lessons, carols, and candle lighting. Entrance The people come together in the Lord’s name and are seated in the Sanctuary, while the musical prelude is played. A worship bulletin is given to worshipers as they enter the Sanctuary, and visitors are invited to sign our guest book. Welcome and Announcements The Pastor or leader welcomes the congregation and visitors and makes brief announcements. Call to Worship The Worship Leader invites those who are able to stand, and all to join in the Call to Worship. Scripture sentences or responsive readings between the leader and the people declare that the Lord is present and empowers our worship. Passing of the Peace The people greet one another and offer signs of reconciliation and love, and wish each other the peace of our Lord. Hymn All who are able remain standing, and all join in singing a hymn. The hymn number is printed in the bulletin and is displayed on the hymn boards at the front of the Sanctuary. Unison Prayer All lift our voices in saying the Unison Prayer printed in the bulletin. Bible Reading The Worship Leader reads from the Bible. Children’s Message and Sending Song The children are invited to come forward and the Pastor or other leader shares a message with the children and the congregation. 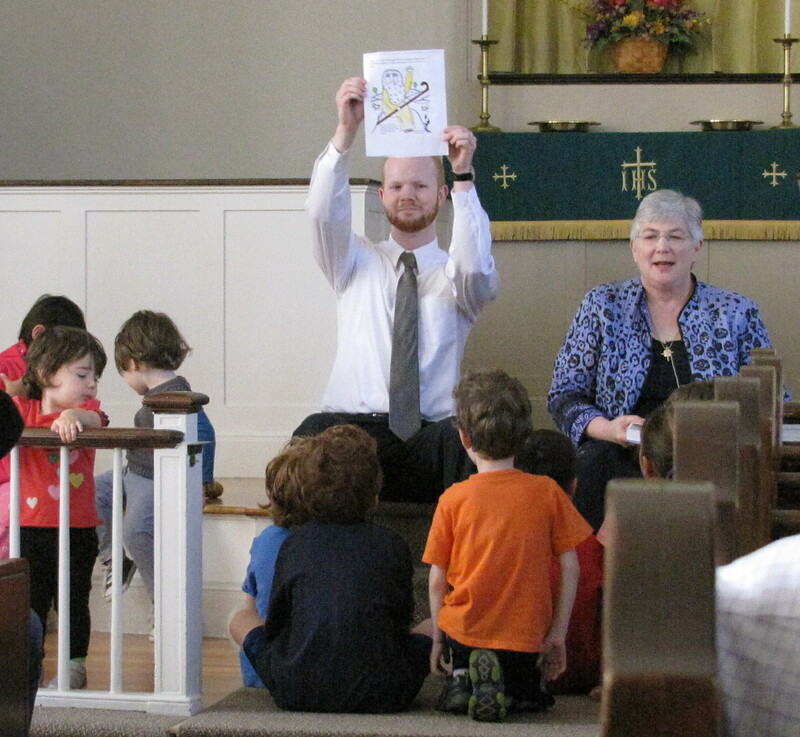 After the children’s message, the children are invited to attend the nursery or Junior Church program. As the children depart, the congregation sings a sending song. Sermon A sermon is delivered, typically where one or more of the readings is interpreted. Hymn of Response All join in a hymn. Joys and Concerns Worshipers are encouraged to share their joys and concerns with the congregation, and prayer requests are included. Pastoral or Silent Prayer and the Lord’s Prayer The Pastor offers a prayer or a time of silence, followed by the entire congregation joining in the Lord’s Prayer. Presentation of Tithes and Offerings Offering plates are passed to the congregation, and gifts are received and presented. Doxology and Prayers of Dedication As the gifts are delivered to the altar, those who are able stand, and sing the Doxology (this is a short hymn; words are usually printed in the bulletin). Communion and Communion Prayer (on the first Sunday of each month) Worshipers come forward and are offered grape juice and bread. After all are served, the congregation joins in the prayer after Communion. Hymn A final hymn is sung. Benediction The Pastor declares God’s blessing and the service is ended. Postlude Music is played while the worshipers go forth from the Sanctuary.